We are located in Frankfurt am Main, Munich and Berlin. You find us centrally located in the inspiring metropolitan regions, but with enough distance and quietness to concentrate while working. 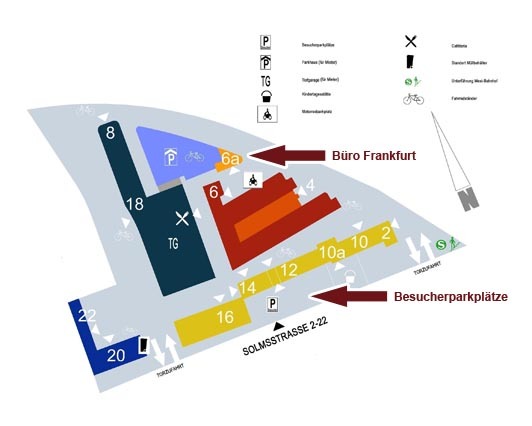 With the train or bus: from Hauptbahnhof – S-Bahn S 3/S4/S5/S6, stop at Westbahnhof (5 mins) – then 5 mins on foot.